Devil’s Covenant is a machinima film released in 1998. 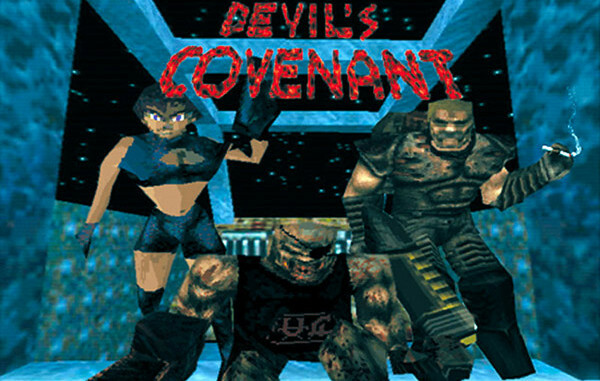 Devil’s Covenant is sometimes credited for the emergence of the machinima art form. It was created by a group of dedicated gamers called Clan Phantasm and it was written and directed by Eric ‘Starfury’ Bakutis. 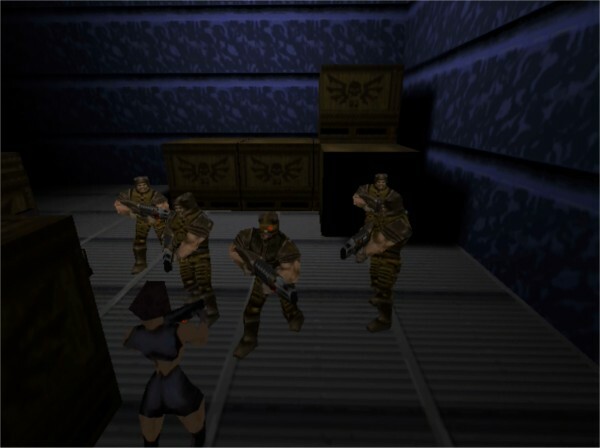 Devil’s Covenant utilized the original Quake engine’s ability to record and playback gameplay footage in order to create a feature length film that could be played out entirely within the game engine via initialization through console commands. It was the first feature-length machinima ever created, marking it as a major technical milestone. Devil’s Covenant is sometimes credited for the emergence of the machinima art form. The film is entertaining to watch even if some of the B-movie dialog can be cringe inducing at times. The surprisingly cohesive plot revolves around a group of ‘datrunners’ (think Johnny Mnemonic) in the Quake universe. These data thieves unwittingly come across information valuable to two fundamentally opposed supernatural factions; the Phantasms (the good guys) and the forces of Hell itself. Both have kept a fragile peace over the centuries thanks to the mysterious titular covenant between them but with the unearthing of this precious information all bets are off. Devil’s Covenant is a landmark achievement for establishing an art form we now call machinima. Clan Phantasm dedicated themselves to creating a full length film using the resources available to them in a “pre-broadband” era, which was no small task. For the first time ever a group of enthusiasts were able to tell a story in what was at the time the most advanced 3D engine ever conceived. Such a term seems all but alien nowadays. Even the most basic smartphone is capable of downloading data at speeds that far surpass those of the average home’s bandwidth prior to the millennium. At a whopping 50 megabytes, Devil’s Covenant had to be downloaded in several zipped portions and then reassembled piece by piece in an exact configuration in order for the movie to be played. While it isn’t exactly a cinematic masterpiece, it is without a doubt a triumph in the field of user generated content. In order to bring you this production I had to jump through quite a harrowing series of hoops. 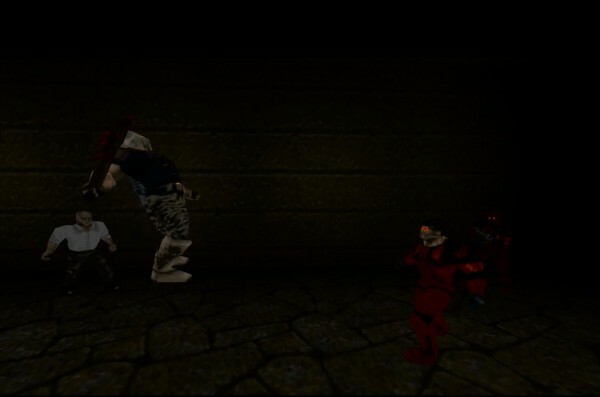 Quake is a legacy application that refuses to run on many modern computers, thankfully there are several excellent clients created after the source code for Quake was released in late 1999 to circumvent these issues and bring Quake’s graphics into the present, my personal favorite being Dark Places. Devil’s Covenant and other similar early machinima films require a user to download multiple compressed packages, unzip them in a specific directory structure and then execute them using DOS based command lines. 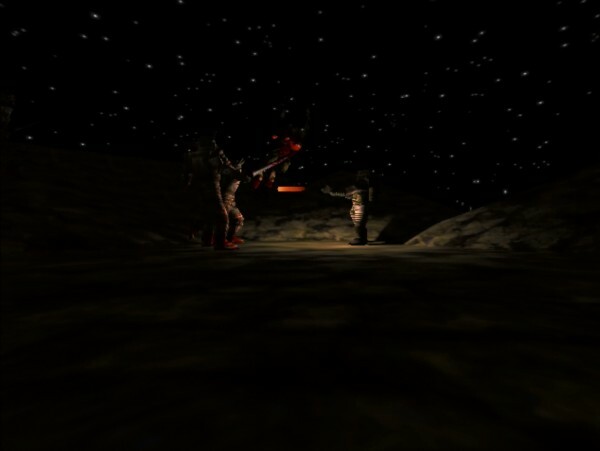 The ultimate result being a preconceived set of computer scripts being played out within the game engine to create a cohesive experience. After searching for hours for a link to Devil’s Covenant I started to become concerned that the film was lost forever. Clan Phantasm’s official website, which was once hosted atPlanetQuake, now returned only a 404 error and there was no recorded versions available on YouTube. I eventually stumbled onto a singular download on a nearly abandoned Quake file archival site called, QuakeTerminus. The Dark Immortal Sith using his evil powers. I downloaded the file, and through some trial and error managed to reconstruct the appropriate directory structure and commands necessary to run the movie. For your convenience, I have recorded the movie using Fraps and uploaded it, though I recommend if you have a working build of Quake available to you, that you download the version I repackaged and uploaded so that you can experience the movie as it was originally intended to be viewed, running live in the game engine. 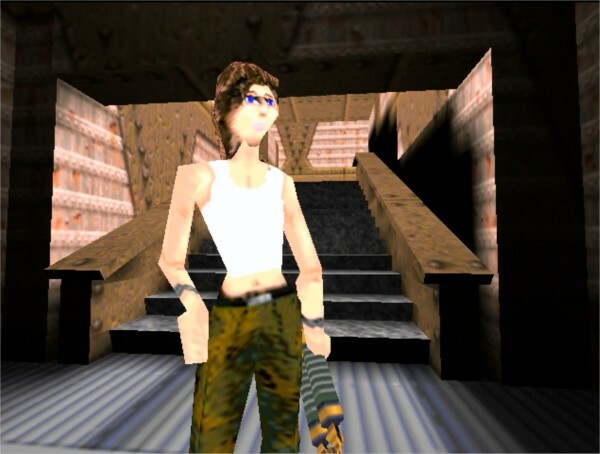 Devils Covenant is the most iconic example of early machinima, but it is hardly the only entertaining product of the Quake movie movement of the late 1990′s.